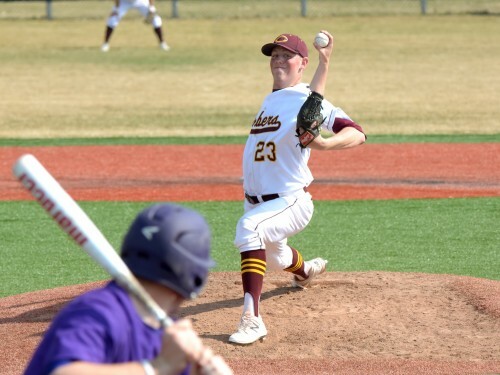 Concordia offers indoor and outdoor tracks, a fitness center and weight room, athletic complexes and more. 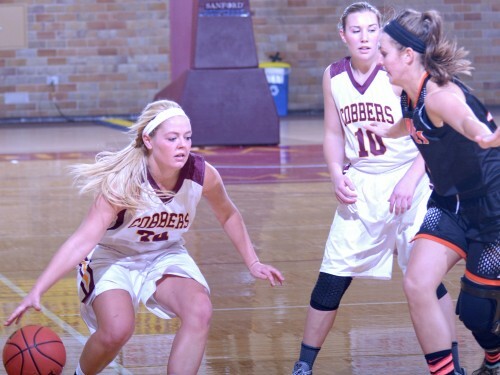 Memorial Auditorium is the durable, multifunctional home of Concordia basketball and volleyball team and the host of exciting high school district and regional basketball tournaments. Including baseball and softball fields, practice soccer fields and tennis courts, the outdoor fields can be found from 8th street to 12th Avenue. 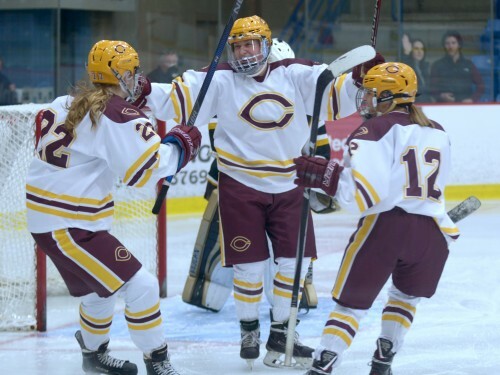 The Moorhead Sports Center contains two competition-sized ice sheets, locker rooms for the Cobber men’s and women’s teams, and outstanding sight lines for spectators. 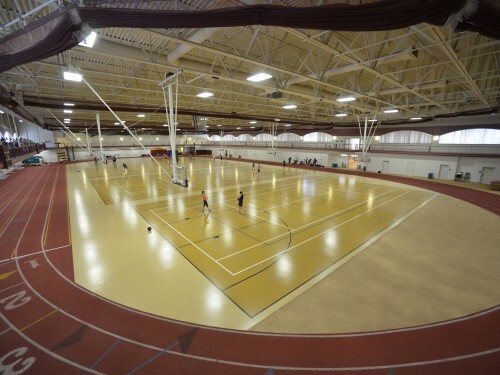 Offering four regulation basketball/volleyball courts, indoor tennis courts, a 200 meter-regulation indoor track and fitness center, Olson Forum answers the active needs of students, faculty and staff. 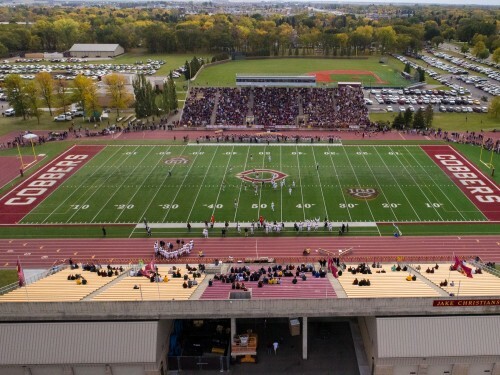 Jake Christiansen Stadium is home to the Cobber football team, the men's and women's soccer teams and high school playoff football games. 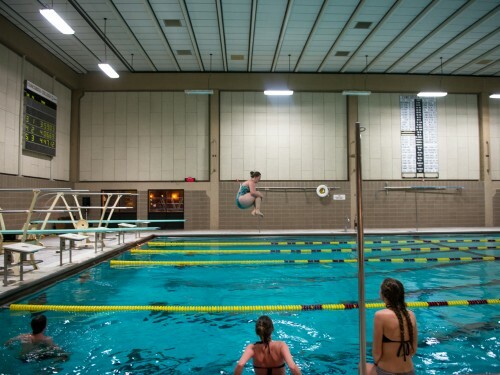 Located in the south side of Memorial Auditorium, the facility has a regulation-sized pool with six competition lanes, two one-meter diving boards, sauna, locker rooms, and a balcony for spectators. 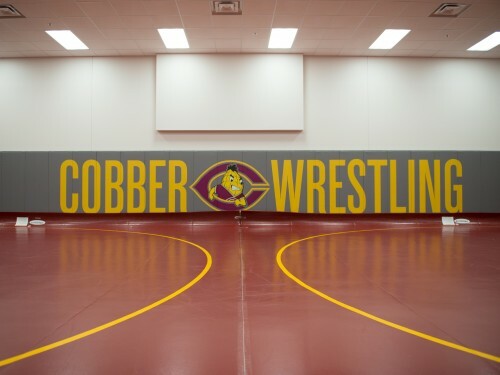 The Riverside wrestling facility is home to the Cobber wrestling team, actively boasting 3,750 square footage of practice space.